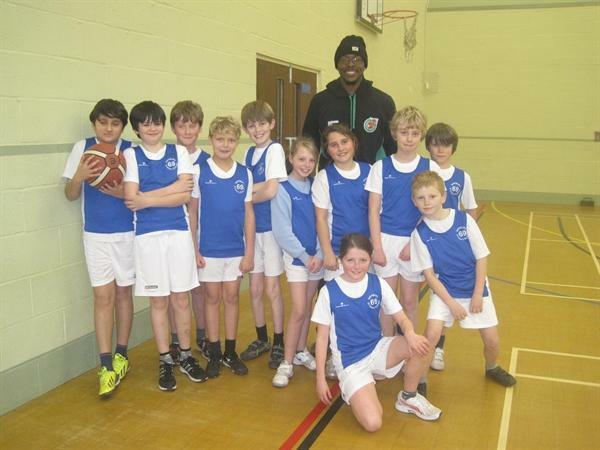 A basketbal team, of Year 6 pupils from Wembury, took part in the PAAC area festival and put their skills to good use, coming a credible third. Probably even more rewarding was meeting and having their photo taken with a Raiders basketball player, Donald Robinson! Well done Team Wembury!